Sooke's fishing is great right now. The spring salmon continue to be good sized, with many into the 30 pound range. There are plenty of pinks in the deep water. But best of all, sockeye has been opened by DFO, with a daily limit of 2 -- get them while they are open, as the season has been known to close in just a few days in the past. 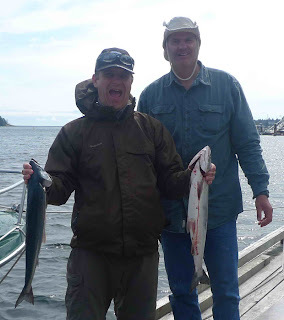 Pictured is Hugues from France with his first ever salmon, caught with Luke at VIP Fishing Charters. 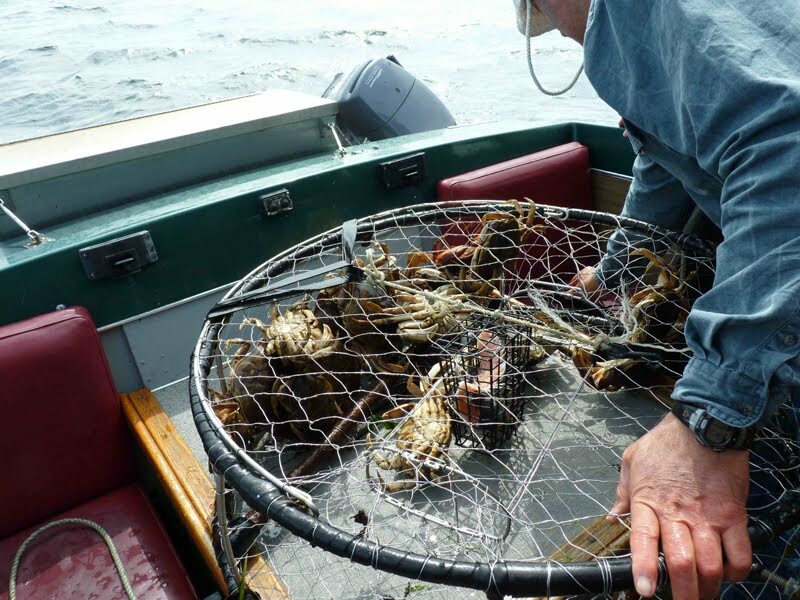 They also caught their limit of Dungeness Crabs and saw a pod of Orca whales ... a highlight of their Vancouver Island adventure.